I love t-shirts that have sayings on them, don’t you? 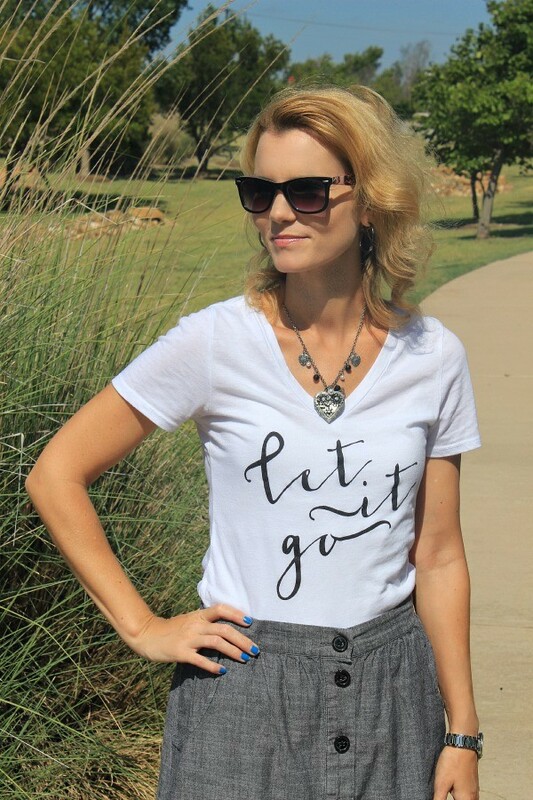 Two of my favorite tees come from Cents of Style’s line – the Let It Go tee and I Have Nothing to Wear Tee. You’ve seen the Let It Go one pop up here on Mom Fabulous quite a bit. 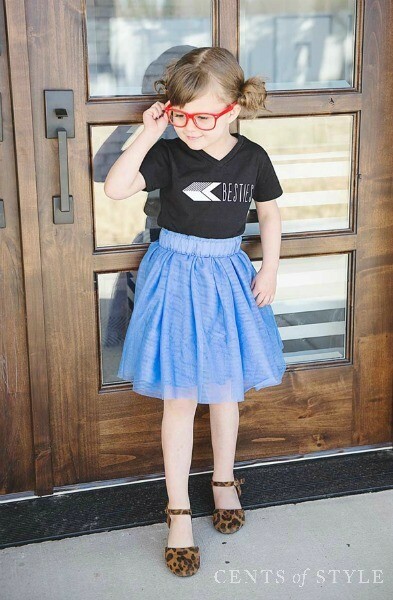 From my daughter wearing it with a tulle skirt. Man I love this look. I wore it with a skirt and flats. I’ve also worn it with jeans and a cute pair of flats. Here’s my daughter wearing the I Have Nothing to Wear tee, because really, there are some days we just can’t find anything to wear. Am I right ladies? So why am I talking about these tees? Because they’re on sale today for the Cents of Style Fashion Friday Sale! They have expanded their t-shirt line from just a handful about a year ago, to well over 50 different styles. These tees are on sale TODAY (4/10/15) for $14.95 plus Free Shipping. The sale starts today and goes through the weekend. 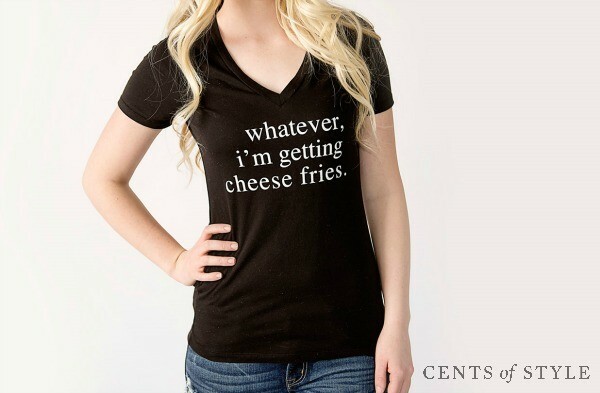 You can get your hands on shirts like Whatever, I’m getting cheese fries. Plus all of these adorable ones that say anything from Ciao! and As If to Lipstick Addict and #nofilter. 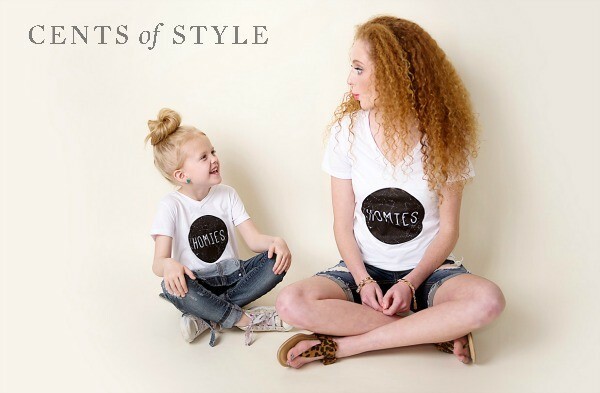 Cents of Style also has a really cute t-shirt line for kids and they’re also on sale for Fashion Friday. 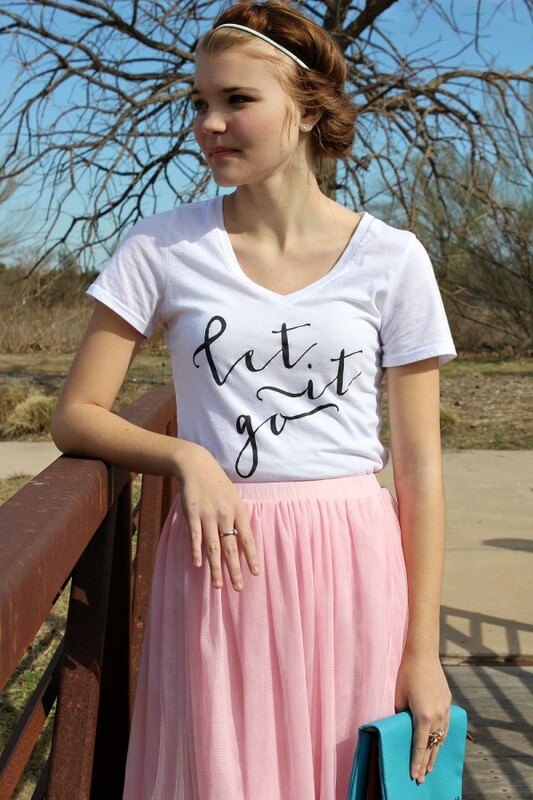 You can snag one of these cuties for $11.95 + Free Shipping using the same code FAVTEE. Word to Your Mother yo! Let me leave you with another gorgeous t-shirt look. As If you’re not going to get one of these (or three) right? See the entire line of tees on their Fashion Friday page here. If you have any questions about size, wear and tear or you just need a friend to help you decide which one to get, lemme know!